These are the reviews for Oak Cottage. There are 16 reviews. The cottage was absolutely lovely - extremely fresh, clean and comfortable with everything that you needed for an easy stay. The location is perfect for a 'getting away from it all' holiday within easy reach of beautiful beaches. Thoroughly enjoyed our stay at the cottage. Will definitely be booking again in the future. Lovely spacious 2 bed cottage, sleeps 5. Nicely furnished and very comfortable. Well equipped kitchen and easy to cook here.Garden and patio area with furniture. The website states that there is a bbq but there isn't. We bought a disposable one from the local store.Lovely view towards the sea. Good location, easy to drive round the island and restaurants fairly close by car. Lovely coastal walks. Be careful with the prices quoted on tripadvisor, especially for short breaks. When we went through to Sykes rental agency that handles the bookings, the actual prices were considerbly higher. Saying that it was still good value for money and the cottage is a great place to stay. Highly recomended. We were very pleased with the cottage and the high specification. A little written guidance on the operation of central heating and fire would have helped but we figured it out. Accessibility was a key factor in our choice and in this respect the cottage was ideal. A home from home cottage environment in a peaceful location with lovely views. The host was very friendly and helpful. Oak Cottage was amazing; such a lovely place to be. The whole cottage was superb and decorated to a high standard. The owner was at hand if you needed her. The kids loved it and we are planning a return visit next year. It was excellent all round, and in a great location. 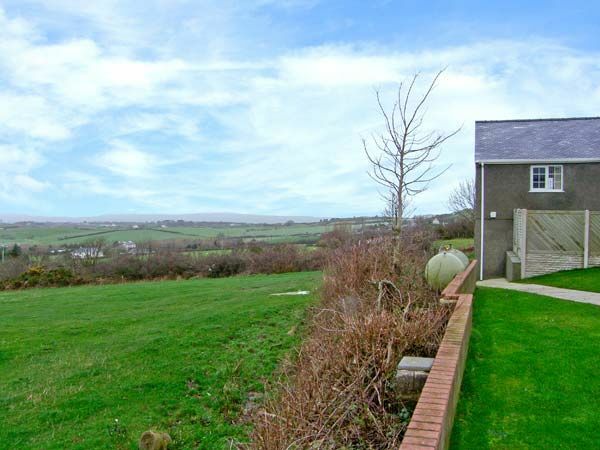 A beautiful large cottage, very contemporary with everything in it you could need. The Cottage was very homely and comfortable with every need catered for. The views were excellent but most of all the owners were friendly and most helpful. We would definitely recommend the holiday property to friends and family. 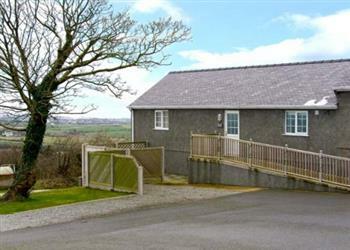 This cottage was bright, comfortable and spacious with lovely views and set in a very peaceful location. We were made welcome by the owners and were very well taken care of throughout our stay. Property was lovely, very comfortable and spacious. Proprietors were very pleasant, helpful and friendly. The cottage was a great base for touring the area. A very relaxing holiday. Fabulous place to stay! Great views, very well-equipped and all furnishings to a very high standard. Excellent stay - a real 'home from home'. We will definitely return. A very welcoming approach to a lovely cottage with lovely surroundings, first class. The host were great people. This is a very quiet and peaceful location. We had a warm welcome from the owners and the beautiful outlook and peace/silence for relaxing was great. Everything about the property far surpassed expectations. One of the party was severely disabled, however the property was wheelchair friendly, and we had no problems. The location of the holiday cottage was stunning, and we were treated to some remarkable evening sunsets as we sat on the patio looking down the hillside to the sea. The cottage was comfortable, cosy and very clean. A real home from home. We look forward to returning. If you're looking for other cottages around Oak Cottage, we've got some cottages below which may take your liking. There are 49 cottages within 5 miles of Oak Cottage - and they have reviews too.